Please click on the PDF link to see the full Bulletin – new items listed separately. Youth Ministry Weekend – The Olgivie Centre is offering this course to current and potential youth ministers from 25th to 28th January at Kilcoy Castle. It is also possible just to attend a day programme on youth activities in a parish on 26th January at Kilcoy Castle from 10am-4pm. See Notice Boards for details. – Retreat for S3-S6. This will take place at Kilcoy Castle from 8th-11th February. – Pilgrimage for 15-25 year olds. This will take place in Lourdes from 10th-15th April. The total cost is £300. That 2018 be a year of peace and blessing for all our Parishioners. May our faith and hope in God, who is love, grow ever stronger. 24th December at 11.30pm – Carols followed by the Vigil Mass of The Nativity Of The Lord. 25th December at 10.30am – The Navity of The Lord. Nativity Play – Thanks to all who helped organise and participated in our Family Nativity Service. Children’s Liturgy and Catechism Classes – Resume on Sunday 7th January. Youth Ministry Weekend – The Olgivie Centre is offering this course to current and potential youth ministers from 25th to 28th January at Kilroy Castle. See Poster on Notice Board. 2018 St Patrick’s Missionary Diaries – Fr. Damian has a couple of spare diaries for sale after Mass. Thanks – Many thanks for all your good wishes at this time and also during my recent stay in hospital. I wish you all every blessing at Christmas and may you receive many graces in 2018. Preparation for Nativity Play – Children’s Liturgy will continue until December 17th but Catechism classes after Mass will resume after Christmas. All the children are asked though to meet in the upper hall after Mass to prepare for our Nativity Play. Community Cafe for Senior Citizens – Dunbar Hall, Auldearn: This will take place on Thursday 14th December, 2-3pm. This is run by Primary 7 pupils. Carols and Refreshments. Free Entry. Light a Candle Cards for Christmas – Now available at the Votive candle stand. If you have any queries see Patricia Robertson. Special Thanks – To all who organised, assisted and contributed towards our Coffee Morning. An excellent total of £1210.55 was raised. Planning for Parish Youth: Pupils in P7 and above are invited to discuss church activities for 2018. The meeting will take place on Tuesday December 5th at 7.30pm in the Parish Hall. Sr. Anna Christie will give a short talk and their will be light refreshments. It is hoped that Parents/Guardians will encourage and facilitate our youths to attend. 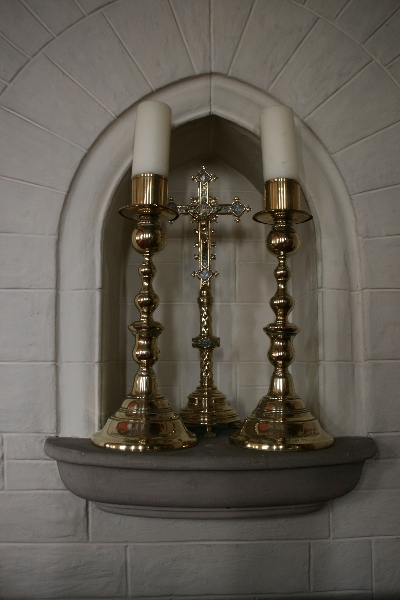 Vespers by Candlelight: Wednesday 13th December at 8pm at St. John’s Episcopal Church, Forres. Admission is £10 at the door. Please see Notice Board for details. – Please contact Emily Lamont if you can assist or contribute in any way. – Items for the raffle will be received in the Parish Hall after Mass. – Raffle tickets on sale after Mass. Only £1 per strip. – Male volunteers are required from 8.30am to assist in moving tables and putting up Gazebo’s. Planning for Parish Youth – Pupils in S1 and above are invited with their Parents/Guardians to discuss church activities for 2018. The meeting will take place on Tuesday December 5th at 7.30pm in the Parish Hall. 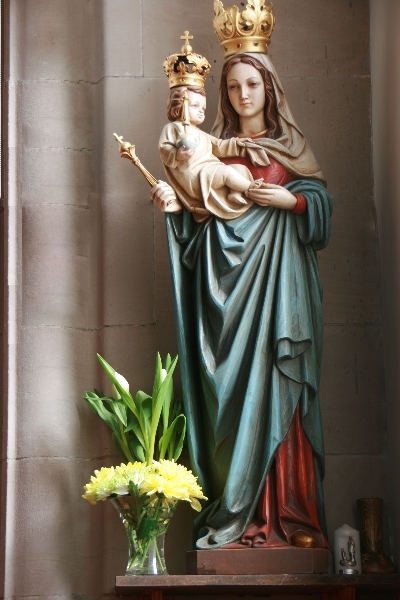 The Solemnity of The Immaculate Conception – Deanery Day of Healing and Devotion: There is a programme at Stratherrick on Friday 8th December from 10-4pm. Please see Notice Board for details. Nairn Academy Community Tea – The Senior Prefects invite Parishioners for this event on Wednesday 6th December from 10.30am-12.30pm. Refreshments and Raffles etc. No entry charge but collection buckets. Coffee Morning Raffle – If you cannot attend the parish coffee morning raffle, tickets are now on sale after weekend masses. Only £1 per strip. 2018 St Patrick’s Missionary Diaries – Please see Fr. Damian after Mass to collect your Diaries. Culbin Singers Christmas Concert – If you wish to attend this concert on Saturday 9th December at 7pm at St Laurence Church, Forres, please see Fr. Damian. Tickets are £12 (Adults), £10 (Concessions), £5 (Children). Remembrance Sunday – The Act of Remembrance is at the War Memorial at 10.45am. St. Mary’s Parish Pastoral Council – A number of members have given apologies for the meeting that was planned for this Wednesday. As it is the first meeting of the newly-chosen Council, the meeting is now postponed to Wednesday 29th November at 7.30pm in the Parish Hall. Children’s Liturgy and First Holy Communion Classes – Resume next Sunday. Emmanuel Community Presentation: “Jesus the long-expected”. The third presentation in this series will take place on Saturday 25th November from 10.30am to 2.30pm at St. Mary’s RC Church, Beauly. 2018 St Patrick’s Missionary Diaries – Please see Fr. Damian after Mass next Saturday Evening or Sunday Morning to collect your Diaries. Daily mass will be on Wednesday and Friday only this week. There will be no Holy Hour on Wednesday. Emergency Contact – As Fr Damian is attending a meeting in London from Monday to Saturday, if necessary please contact Fr James Bell 01463-233519. Remembrance Sunday – So that Parishioners may attend the Act of Remembrance at the War Memorial at 10.45am, next Sunday’s Mass will be at 9.30am. St. Mary’s Parish Pastoral Council – The first meeting of the newly-chosen Council will be on Wednesday 15th November at 7.30pm in the Parish Hall. Children’s Liturgy and First Holy Communion Classes – There will be no classes next Sunday. Emily Lamont has kindly agreed to coordinate this event. Please contact her if you can assist or contribute on that day, or if you wish to have a sales table. On Saturday 25th and Sunday 26th November, after the Masses, we are looking to receive goods, in the Parish Hall, such as cakes, biscuits, confectionery, wine etc. that could be used to make up three quality Christmas Hampers for the Raffle. Luther 500 – A Commemoration of the Reformation. There is a seminar on John Calvin at the United Reformed Church at 7pm on Tuesday. Nairn Old Parish Church Women’s Guild – The ladies of our Parish are invited to a Social Afternoon on Wednesday at 2.30pm. There is a talk on Erskine Housing and a Bring and Buy Sale. Refreshments will be served. There will be no Tuesday evening mass this week. Solemnity of All Saints – Wednesday 1st November – Mass at 10am and 7pm. Commemoration of all the Faithful Departed – Thursday 2nd November – Mass at 10am. You are welcome to write lists of your departed relatives and friends to be placed before the altar on Thursday but also at next weekends Masses. St. Mary’s Parish Pastoral Council – The names of those chosen to serve on the Council are posted at the back of the Church. Children’s Liturgy and First Holy Communion Classes – Resumes this Sunday. Children are still welcome to join the First Communion class. Mission Sunday Collection – The total of £235.90 was collected. Thanks for your continued generosity. Luther 500 – A Commemoration of the Reformation – There is an ecumenical service at the United Reformed Church at 7pm on Tuesday. Bishop Hugh will deliver the Homily. World Youth Day – Panama 2019 – Please see Notice Board for details. 2018 St Patrick’s Missionary Diaries – Liturgical Diaries are available in Blue/Black/Red for £5 each. Please see Fr. Damian next week with order and money. Profits go towards missionary work. There will be no Thursday morning mass this week. St. Mary’s Parish Pastoral Council – The next stage of choosing the Parish Council will begin next week. Thanks to all those who have accepted their nominations. Luther 500 – A Commemoration of the Reformation – For details of the programme in Nairn and Inverness from October 24th – November 9th, see the Notice at the back of the Church. Society of St. Vincent de Paul – The special collection raised £285.80. Thank you for your generosity in supporting the continuing good works of the Nairn Conference. Mission Sunday, 22nd October – There will be a special collection. Please give generously. Children’s Liturgy and First Holy Communion Classes – Resume on Sunday, October 29th. Month of the Rosary – There will be a public praying of the Rosary at 9.30am before Weekday Masses (during the Holy Hour on Wednesdays) and 6.30pm on Tuesdays throughout October. St. Mary’s Parish Pastoral Council – Fifteen parishioners have been nominated as we move forward to choosing ten from this number. The names are on the Notice Board. If you do no wish your name to be on the ballot paper, please inform Fr. Damian by Sunday 22nd October. Saturday 21st October (10.30am – 2.30pm) at St. Marys RC Church, Beauly. Nairn Old Parish Church Quiz Evening -Thursday 12th October at 7.30pm. £10 for a table of four. Highland Deanery Renewal for Readers and Eucharistic Ministers – Saturday 28th October (10.30am-4pm) at The Parish of the Immaculate Conception, Stratherrick. It would be beneficial for all those involved in these ministries to attend. A suggestion has been made for car sharing. Could that be discussed among those whom will attend. Day of Pope St. John Paul II (in honour of our Lady of the Rosary). You are invited to a programme of prayer and fun at St Mary’s Catholic Parish, Beauly, on Saturday 7th Includes a Talent Show. Transport will be provided but please bring a packed lunch. St. Vincent de Paul – Nairn Conference. The members will take their annual commitment to the Society next week. There will also be a Second Collection to support their continuing good works. Mary’s Meals Films and Talk – Upstairs in the Parish Hall on Friday 6th October (7pm – 8.45pm). Two films will be shown with a Tea / Coffee interval. 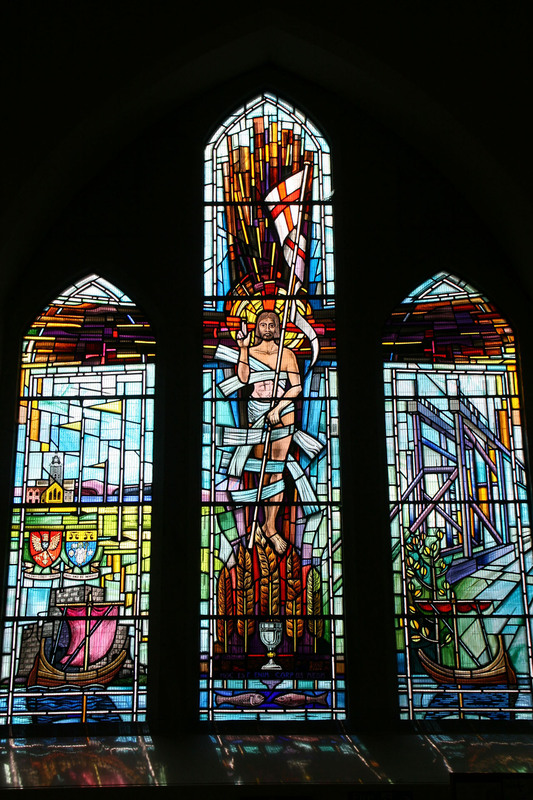 Highland Deanery Renewal for Readers and Eucharistic Ministers – Saturday 28th October (10.30am – 4pm) at The Parish of the Immaculate Conception, Stratherrick. A Date for your Diary – St Mary’s RC Parish Coffee Morning and Sale of Work on Saturday 2nd December at 10am. More details to follow. St Mary’s Parish Project – Close of individual and family contributions on Sunday September 24th. Please give any further contributions to Fr. Damian or Mr Phil McBride. St Mary’s Parish Pastoral Council – Nominations close on Sunday 24th September. Nomination Forms are available at the back of the Church. Kindly put completed forms in an envelope and place in the Box. The Children’s Liturgy and First Holy Communion Classes are ongoing for this term. Day of Pope St. John Paul II (in honour of our Lady of the Rosary). You are invited to a programme of prayer and fun at St Mary’s Catholic Parish, Beauly, on Saturday 7th Includes a Talent Show. Names to Fr. Damian. The Ogilvie Centre – If you are interested in participating in the Retreat / Workshop in Elgin 17th-19th November, please see Fr. Damian. It will assist those who are helping, or wish to do so in the future, in the teaching of our children and youth. Project Working Group – There is need for volunteers to clear the loft on Saturday 16th September from 11am. This will avoid this task stretching over several weeks. • The Children’s Liturgy is for all those who have yet to receive First Holy Communion. It will begin from the Church at the beginning Mass. • Classes to prepare for the Sacraments of First Holy Communion and Confirmation are every Sunday after Mass. • Those who have received their First Holy Communion, but who are not yet ready to prepare for Confirmation, are also offered on-going Catechesis after Sunday Mass. ‘Desert Island Hymns’ – £368.60 was collected from this event, as we look at different proposals in relation to our existing Organ. Deanery Pilgrimage to Fortrose on Saturday September 9th – Please call or text Fr. Damian and give him your name and number if you are interested in Parish transport. Emmanuel Community Programme, ‘Reflection on Jesus the Healer’ – Saturday 23rd September at St Mary’s RC Church in Beauly (10.30am-2.30pm). 40 Days for Life (September 27th – November 5th) – As a Parish initiative I ask us all to include in our private prayers all those who are affected in any way by the act of Abortion. St Mary’s Parish Project – Close of individual and family contributions on Sunday September 24th. Please give to Fr. Damian or Mr Phil McBride. Thanks to all who supported the Parish Barbecue. 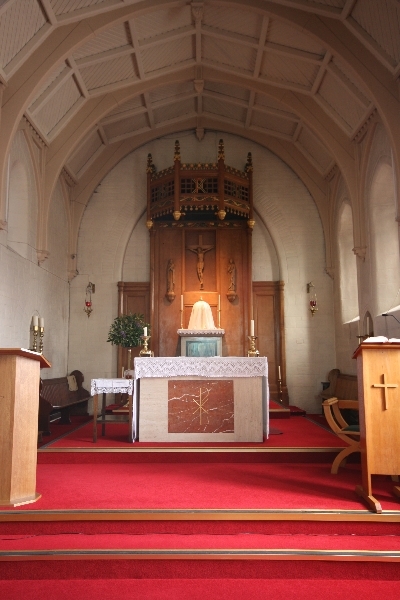 Highland Deanery Pilgrimage to Fortrose – Mass at 12 Noon on Saturday 9th September, presided over by Bishop Hugh. Nairn Half Marathon – Thanks to all those who sponsored Fr. Damian. The total raised for our Parish Project is £1,260. New Mass Times: From September 3rd, Sunday Mass will be at 10.30am. There will also be a Mass at 7pm on a Tuesday Evening instead of a morning Mass. The Holy Hour will be at 9am on Wednesdays, followed by 10am Mass. National Pilgrimage to Carfin in Honour of Our Lady of Fatima – Mass at 3pm on Sunday 3rd September. Transport available from Aberdeen. Friday 25th August 7pm – Barbecue in Church Grounds. Suggested Contribution of £5.00 and above per person. Profit goes towards St. Mary’s R.C. Project Fund. 4pm – ‘Desert Island Hymns’ at St. Ninian’s, Church of Scotland. Donations in aid of St. Mary’s R.C. Church Organ Fund. It is hoped for a high level of parishioner participation for these events. National Pilgrimage to Carfin in Honour of Our Lady of Fatima – Mass at 3.00pm on Sunday 3rd September. If transport is being organised, details will be communicated next week. Notices for Young Church Members: Pilgrimage to Iona on the Notice Board. Please see Fr. Damian if interested. Thanks to those who helped organise, or attended the Altar Servers training at Beauly. St. Mary’s Parish Project: Please continue to contribute as individuals and families. For the purposes of transparency, summaries for Parish Funds and the Parish Project are on the Notice Board. A final figure of analogue and digital support of our Parish Project will be released next week. Project Working Group. A small but dedicated group have carried out sterling work in the Church and House. As we move to other stages of work, parishioners are asked, in charity, to sign the sheet at the back of the Church if they are willing to offer their specific skills and time. These include especially sanding, plaster work, painting. An urgent job is to clear the Loft. We will assess needs after the electrical and plumbing works are completed. Sunday Mass will be at 10.30am. There will also be a Mass at 7.00pm on Tuesday Evening instead of a morning Mass. The Holy Hour will be at 9am on Wednesdays followed by 10am Mass. Nairn Half Marathon – Fr. Damian will run the Nairn Half Marathon next Saturday at the Nairn Games. To help him raise funds for the Parish Project, check out the ‘Just giving’ link on the facebook page of Damian Martell, or sign the forms which will be available after Mass. Please see the Notices for Altar servers and Pilgrimage to Iona on the Notice Board. Please give your contact details to Fr. Damian if interested in either of these excursions. The Parents of the young people who wish them to prepare for the Sacraments of Holy Communion / Confirmation should see Fr. Damian upstairs in the Hall after Mass on Sunday 20th August. Parish Barbecue – The evening of Friday 25th August. Please see Fr. Damian as we need an experienced Organising Committee. Cemetery Sunday – 2.00pm on Sunday 27th August at Nairn Cemetery. The opportunity to visit the graves of departed family, friends, and parishioners from the past. We will remember and bless them as a Community. Induction of Fr. Damian as Parish Priest – Thanks to all those who have assisted to prepare for the Mass and Social, and to Bishop Hugh for visiting our Parish. 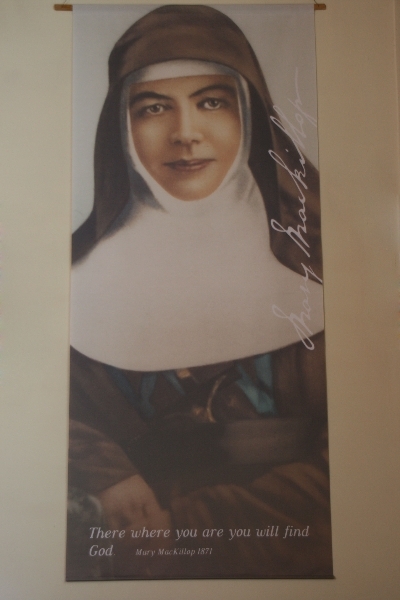 St. Mary’s Parish Project – Please continue to contribute as individuals and families. For the purposes of transparency, summaries for Parish Funds and the Parish Project are on the notice Board. Further enquiries about how to contribute, or the figures, can be referred to Fr. Damian or Mr. McBride. It is important that we all join hands as a community, for this one-off but crucial parish work. Project Working Group. A small but dedicated group have carried out sterling work in the Church and House. As we move to other stages of work, parishioners are asked, in charity, to sign the sheet at the back of the Church if they are willing to offer their specific skills and time. These include especially sanding, plaster work, painting. We will assess needs after the electrical and plumbing works are completed. Induction of Fr. Damian as Parish Priest – Bishop Hugh will formally do this on Saturday 5th August at 6.00pm There will be a small Social afterwards in the Church of Scotland Hall. Helpers for Saturday 5th – if you can assist in the hall with making the tea and coffee etc. or are able to contribute sandwiches and cakes etc. (No Hot Food Thanks) please phone Emily Lamont 01667 453967 ASAP. She has kindly agreed to coordinate the Social. St. Mary’s Parish Project – Please continue to contribute as individuals and families, using the white envelopes at the back of the Church. Please mark it ‘Parish Project’ with your contribution of Cash / Cheque, putting your name on it also (for Gift Aid purposes). You can put your envelope in the Collection Basket or personally to Fr. Damian / Phil McBride. It is important that we all join hands as a Community, for this one-off but crucial parish work. Nairn Half Marathon – Fr. Damian will attempt to complete the Nairn Half Marathon on Saturday 26th August, to raise funds for the Parish Project. Check the ‘Just Giving’ link on the Facebook page of Damian Martell / below, or sign the forms after Mass which will be with our helpers. Project Working Group. A small but dedicated group have carried out sterling work in the Church and House. As we move to other stages of work, parishioners are asked, in charity, to sign the sheet at the back of the Church if they are willing to offer their specific skills and time. These include especially sanding, plaster work, painting. Induction of Fr. Damian as Parish Priest – Bishop Hugh will formally do this on Saturday 5th August at 6.00pm There will be a small Social afterwards. National Pilgrimage to Carfin in Honour of Our Lady of Fatima – Mass at 3.00pm on Sunday 3rd September. If transport is being organised, details will be communicated as soon as possible. Nairn Half Marathon – Fr. Damian will attempt to complete the Nairn Half Marathon on Saturday 26th August, to raise funds for the Parish Project. Check the ‘Just Giving’ link on the Facebook page of Damian Martell, or sign the forms after Mass which will be with our helpers. Parish Barbecue – The evening of Friday 25th August. More details to follow. Cemetery Sunday – 2.00pm on Sunday 27th August in Nairn Cemetery. We will process around the Cemetery and bless the Graves of departed family members, friends, and acquaintances and parishioners from the past who may no longer have local connections. Sunday Mass will be at 10.30am. There will also be a Mass at 7.00pm on Tuesday Evening instead of a morning Mass. This to facilitate people who work each day and even on Sundays, to at least attend a weekly Mass. Pastoral Work – If you wish the Parish Priest to visit your home to discuss an issue etc,. or to visit a sick or elderly relative, do not hesitate to contact him. He will accompany the Eucharistic Ministers who already have fixed visits, on a monthly basis. Highland Food Bank – Please see the letter on the Notice Board. Thank you for your continued generosity. Parish Barbecue – It is hoped to organise this for the evening of Friday 25th August. More details to follow. Cemetery Sunday – it is proposed to organise a blessing of the graves of the deceased in Nairn Cemetery on the afternoon of Sunday 27th August. This will be organised in co-operation with the other Church Ministers in Nairn. More details to follow. 10th Anniversary Mass for Fr. Damian. Thank you to all those who helped to organise and make the occasion a wonderful evening of thanksgiving and socialising. Children / Youth Ministry – There will be a short meeting in the Church after 10am Mass on Sunday July 9th. All those able to teach Children’s Liturgy, or who wish to help with Youth Ministry, please come. 10th Anniversary Mass for Fr. Damian. Friday July 7th at 7pm. This will be followed by a Parish Social in the Church of Scotland Hall. We thank them for their kindness. Sea Sunday. Second Collection for Apostleship of Sea on 8th and 9th July. Please give generously. St. Vincent De Paul. The Nairn branch will have a Collection after the Saturday Vigil and Sunday Masses, using the official box (Not if there is a Church second Collection). Please give in charity. St. Mary’s Parish Project – The Parish Finance committee has agreed that there is need for a one-off, but substantial, appeal to pay for major renovations and decoration of the Church / House / Parish Hall. The work is being planned but will take some time and will be costly. We kindly ask Parishioners to give generously to this project, to cooperate as Community. From now you can put Cash/ Cheques in an envelope marked ‘Parish Project’ with your name on the front (for Gift Aid purposes). Please put in the usual weekend collection or give to Fr Damian / Phil McBride. Project Working Group. If you wish to be part of this, to offer advice / ideas / skills / time to assist with the Parish Project, please contract Patricia Robertson. SCIAF Lenten Collection. Please read the thank you letter on the Notice Board. it was a great effort! Sunday Mass Time. After consultation, and in a spirit of compromise, I think it is consensual to have Sunday Mass at 10.30am. This change will be effected in August. Readers and Eucharistic Ministers – There will be a short meeting in the Church after 10am Mass on July 2nd. 10th Anniversary Mass for Fr. Damian – Friday July 7th at 7pm. This will be followed by a Parish Social in the Hall. Sea Sunday – Second collection for Apostleship of the Sea on 8th and 9th July. Please give generously. Project Working Group – This group has been constituted to work with the Parish Council (to be elected) and Finance Committee to plan / coordinate work. People can offer help / time when they can, as work progresses, e.g. Cleaning / Clearing / Advice on Decoration etc. Updates will be given on needs. Please contact Patricia Robertson. Sunday Mass Time – Fr. Damian is open to having he main mass later on Sunday morning. If you have a view, see him or drop him a note. A final decision will then be taken. Thursday 25th May is the Feast of the Ascension and is kept as a Holyday of Obligation in Scotland. There will be a vigil Mass at 6.00pm on Wednesday (no morning mass on Wednesday). Holy Mass for the feast will be at 10.00am on Thursday. Light a candle cards; the sum of £100 has been sent to Aleppo via Aid to the Church in Need. Thank you very much for all your donations. The cards will be changed from time to time so please continue your help to support Aleppo. 1. World Communications Sunday 27/28 May. Archbishop Tartaglia in a pastoral letter asks us to think about relationships – do we react positively to others? In our context, ease of abortion, child and old people abuse, general election etc. How can we be positive? The archbishop reminds us that thought is needed. 2. S.P.U.C. are drawing your attention to the Abortion Battle and Euthanasia attack – please note the literature on the noticeboard. 3. 24th June there is a day of renewal at Stratherrick. This is a full day, and the programme is available at the back of the church. Following the Shepherd. The fourth Sunday of Easter marks the end of a world novena of prayer for priests and gives us a chance to look at the what a call to the priesthood entails. Serving, Healing, Evangelising, Praying, Hoping, Educating, Reconciling, Dedicating, Searching. Nairn and Nairnshire Community Partnership Survey. The aim of this body is to change what needs to change; important issues locally with suggestions on how we can change things. See the broadsheet at the back of the church – a few answer sheets are also available on topics such as transport, parking, social interacting are available. You can return these to the Police Station or to the nearest church. Quick replies are welcome. During the coming week, Monday to Friday, there will be no daily mass. There will be Saturday mass at 6.00pm as usual on 22nd April. Divine Mercy Sunday 2017. Bishop Keenan of Paisley wishes to advertise the Divine Mercy Conference on 21st October in Coatbridge; every diocese is invited to join in – “throughout the world the second Sunday of Easter should receive the name Divine Mercy Sunday” in the words of Saint John Paul II thus endorsing the Church’s blessing to a private revelation. Wee Boxes – is yours still snug on the mantle piece? Tax rebate forms too are available if you wish to claim a rebate for charity. Summertime began today. Clocks forward one hour. THE WEE BOXES. This week there is a second collection for SCIAF and it would be helpful to gather in all the WEE boxes on the same day. Venue Duff House Royal Golf Club. Format – Stapleford. Cost with round of Golf and two course meal – £46.00. Pray today for the Church in Pakistan; in 2016 Easter Sunday, an attack on the church in Gulshan-I-Iqbal Park killed 70 and left 300 injured. Next Weekend there is a second collection for SCIAF, and it would be helpful to gather in all the WEE boxes on the dame day. Aid to the Church in Need asks us to keep Nigeria in our prayers on this THIRD Sunday in Lent. This country, once so much a centre of the Holy Ghost Fathers mission, is under constant attack by the Boko Haram, a group dedicated to wiping out Christianity. 1918 was a great year for Catholic Schools. An Education Act took many Catholic schools under the protective wing of the government. It is proposed to mark this centenary in a variety of ways in the coming centenary year; the recognition of young peoples’ efforts will be marked by a ceremony in the Clyde Auditorium on the 8th June. Many other events will give us due notice throughout the year. 0141 556 4727 is the phone number to consult. During 2016 leaflets were distributed in St. Mary;s mentioning the old “sodality” of the Apostleship of Prayer. 2. Stopping briefly halfway through the day to make sure that the “compass” of life was still in place. 3. Last thing at night thanking God for the day. During April, Pope Francis asks us to pray for the young, that this simple method of prayer will guide them in life. 26th March – Mothers Day. Clocks go forward one hour. This is a locally organised and full trip to many of the places mentioned in the gospels. Full details on the pamphlet at the back of the church – cost £995. Tangney also organise short pilgrimates to Rome at reasonable rates – www.tangney-tours.com with a brochure at 0800 917 3572. Station Mass; the deanery had a good station mass in Inverness last Friday celebrated by Bishop Peter Moran with many of the deanery priests. It was a celebration of St. John Ogilvie’s feast, to be completed by Bishop Hugh on Saturday in Keith a celebration in the whole diocese. THE WEE BOXES. Deacon Blue singer Ricky Ross helped to launch the Wee Box Campaign – Zambia is a country noted most – 75% of the population live on £1 a day! But where the wars are going on there is even greater hardship. It would be good if you sent in your wee box before the fourth Sunday of Lent which is the second collection day. Want to read about Catholics? Roy Hattersley, once a leading figure in national politics, has written a Penguin hardback (£25)on the topic. The world day of prayer was quite well attended. This is an occasion for ecumenism where all Christians can pray together for a greater acceptance of Christ’s message of peace. 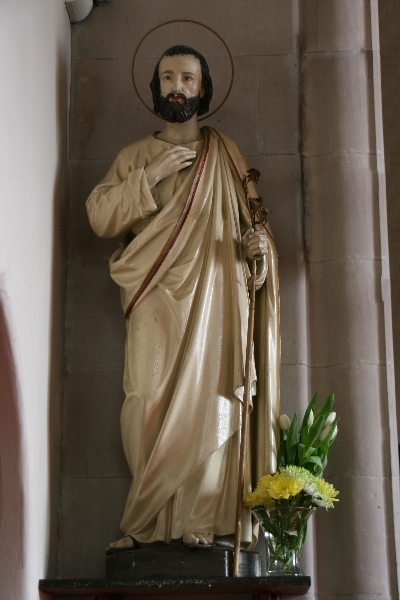 Saturday 11th March at 2.00pm – Mass to celebrate the feast of St. John Ogilvie Keith. Bishop Hugh to mark the feast at mass. * Principal Celebrant: Bishop Hugh Gilbert, OSB. In addition, Bishop Hugh will dedicate the new outdoor altar at Stratherrick, at 12 noon on Saturday 25 March. The Chrism Mass will be in St. Mary’s Inverness this year. WEE BOXES; please take an envelope containing a wee box. These are available at the back of the church. It would be a great help to those counting if the boxes came back by the 26th March – 4th Sunday in Lent. Small envelopes can be made out for tax repayment if you prefer. OTHER Pleas for help – Apostleship of the Sea; International Prison outreach with a loose change and bucket collection, while Nigeria and Eritrea seem to be suffering a great deal. We cannot support all but we can remember them in our prayers. Ash Wednesday 1st March – Day of Fasting and Abstinence. Ashes may be imposed after the homily at Mass – the Act of Penance at the beginning if Mass is omitted. 4th and 5th April – Palm Sunday Weekend. Mass at usual times. A solemn entrance is achieved by the priest blessing the palms as they are held by the congregation. Mass proceeds in the customary fashion. N.B. The Chrism Mass will be in St. Mary’s Inverness this year. 12-20th June – Pilgrimage to Lebanon. Many areas with Catholic Schools celebrate Catholic Education about now. The Catholic Press is full of it – but all of us need to give thought to bringing up the next generation in the faith. The Society for the Protection of the Unborn – Pro Life – have an article on the noticeboard. Please pause and read it. Pilgrimage to Lourdes. 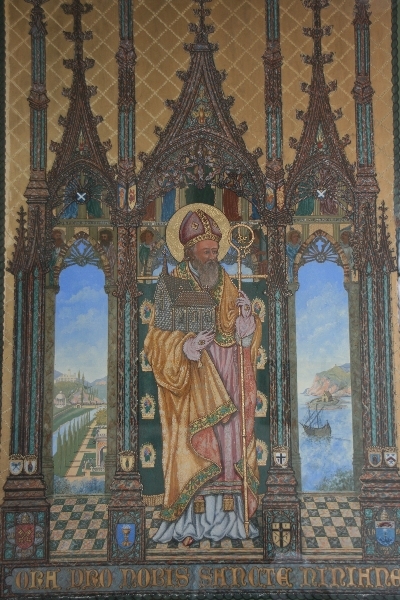 Archbishop Cushley will lead an Edinburgh pilgrimage from 7th – 14th July. Bishop Hugh will lead a northern group at the same time and the Archbishop will stay on in Lourdes 14th – 21st July. The Women’s World Day of Prayer will be on 3rd March. The service in Nairn this year is to take place here in St. Mary’s and is a good occasion to reflect on the interest which Pope Francis shows in Ecumenism. Last month Pope Francis asked us to pray for Christian Unity; this month we can join him in praying for comfort for all those who are afflicted – the poor, the refugees, the marginalised. Weekend retreat – 31st March – 2nd April. In the footsteps if St, Drostan. Deacon John Woodside will facilitate a short retreat in St. Drostan’s Lodge, Glenesk from March 31st to 2nd April. The cost of £80 includes all accommodation and full board. For full infroation contact; e-mail christianpict@gmail.com, or phone 01261 498259 / 07777 668600. Ash Wednesday will be on 1st March to begin the season of Lent, with Palm Sunday on 9th April and Easter Sunday on 16th April. Times of the Holy Week services will be advertised in due course. 26th March Mother’s Day and the clocks go forward one hour. Last month Pope Francis asked us to pray for Christian Unity: This month we can join him in praying for comfort for all those who are afflicted – the poor, the refugees, the marginalised. 25th January – Feast of Conversion of St. Paul. Mass at 10.00am praying for Church Unity. In addition the Free Dental Service and Nourish the Children in the Philippine Islands (after the floods and earthquake) received £325.00 for 100 needy kids. These figures give some idea of the support you have given over the Christmas season to various ventures. The Sacrament of Baptism will be conferred today at 10.00am Mass on Eliana Marie Mellor – our first 2017 child. Please keep her in your prayers. St. Mary’s Inverness was crowded to the door on Friday for the ordination to the priesthood of Deacon Andrzej Niski by Bishop Hugh. The Niski family relations and friends accompanied the new priest and were able to make their contribution to the splendid ceremony. The liturgy was conducted in English with Latin and Polish making some contribution; the choir sang beautiful renderings of tradition polyphonic hymns – reminiscent of the Vatican choir. The diocesan and deanery choirs led the music. Nairn was represented by the small group who had requested tickets from Joyce, the Bishop’s assistant. After the ceremony, hospitality was extended in the Royal British Legion Hall. Day of Justice and Peace. The three Wise Men is a day of prayer throughout Scotland. The Wandering Kings from various races are prefigures of our own times. 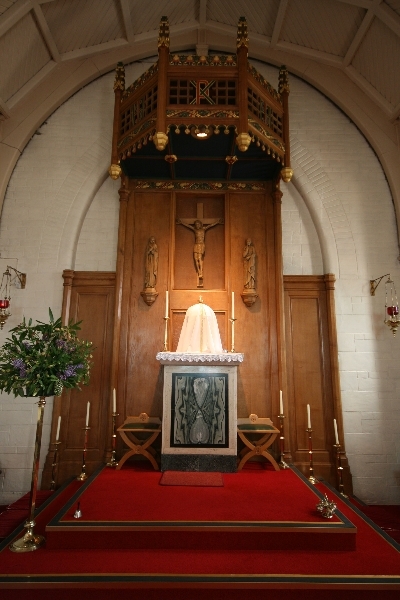 The Blessed Sacrament will be Exposed from 9.15am until Mass, with another short time until 11.15am allowing time for private prayer for peace throughout the world. May God give you every blessing in the New Year; Good health and success in all your efforts. Thank you for all the efforts you made over this season: the Pantomime, the carol services, the Christmas masses etc. were all most happy. Your Effort! Day of Justice and Peace. Sunday 8th January, the feast of the Three Wise Men, is a prayer throughout Scotland. The wandering Kings from various races are prefigures of our own times. The Blessed Sacrament will be Exposed from 9.15am until 11.15am allowing time for private prayer for peace throughout the world. The bishops have asked for a second collection next Sunday to aid the work of the Justice and Peace commission. This commission enables the hierarchy to meet sudden emergencies and is not meant to hold large amounts of dormant funds.